When you sing or LISTEN to God's Chant, your healing begins. The words of this Chant are God's Words. They bring you God's Energy of the Universe as you sing them. They resonate the Vibration of the Universe and Power of Creation, for God created the Universe with these Words. "This chant is the vibration of the Universe and vibration of the highest God and our God-Energy within." Brought to America by Shinto Master Hideo Izumoto, this Healing Chant-Song transforms one's life when sang daily. It opens your Third Eye and develops your intuition. It calms your mind by returning your energy to the Peace that comes from within you. It heals, benefits your Body-Mind-Spirit. A simple method is to sing it 3 times upon arising in the morning and 3 times before going to sleep. For proper musical-tones you can freely LISTEN to the Chant or play out the written Musical Notes. Ancient Shinto tradition relates that angels gave the 47 Words of God's Chant to humanity ages ago. These 47 words represent the harmonic structure of the Universe -- both in their message and mathematics. Number 47 is a precise harmonic of the Earth's HeartBeat of 7.83 hertz. Simply divide 47 by 3 and then by 2 to get that exact decimal number. When you hear the words or chant along, you harness the original creative heartbeat of the Universe for your own healing and initiation. Number 47 also represents the basic elements of the Physical and Spiritual Universe, from Micro to Macro, including our Physical-Body, our Mind-Body and our Spiritual Body. Chanting this way brings harmony for Macro and Micro Universes. "We are Gods and Creators. We create everything in the Universe for us and it belongs only to us and forever." "We practice Freedom, Truth, Love, Beauty, Happiness, Advancement and actually becoming God Beings." "We live together forever for our happiness and advancement. Thank you, God, for everyone, everything and for me. (--- or ------) indicate take a breath or deep breath. Each syllable-word is 1 count except for the drawnnnn out ones (prior to inhaling ----) which are 2 counts; while last syllable "KE" is drawnnnn out 8 counts: For the proper musical-tones, listen to the free recording of God's Chant, or see the Musical Notes section on this page. Why is singing God's Chant so Important? 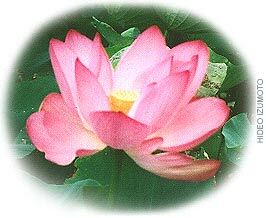 Hideo Izumoto says: The purpose of Chanting (singing the 47 Words of God) and Meditation is to increase mind power, and to purify the Soul and Mind, the spiritual and mental bodies. One of the biggest problems is that our Mind-body has lost God's spiritual light, making our eyes, ears, and intuition dirty. That's why we cannot see true energy and light. To regain this kind of talent, we need to increase more and more of God's energy in our Mind-body. Chanting and meditation are the most important and powerful steps that I recommend each one of us practice. If you chant with your focus on the third eye, even for one minute, energy changes dramatically. If this chanting and meditation spreads on this planet, revolution happens, which is good for people and the planet Earth.
. Sing the Chant 3 times upon rising in the morning, and 3 times before going to sleep at night..
. Chant 9 times, then meditate for 3 minutes; then chant 6 times, with a 2 minute meditation. Finally, chant 3 times, with 1 minute meditation. If you chant like this, 18 times every day, it will change your life. You will see light and energy, you will see darkness in people's body. Every day for 25 minutes, and gradually the light at the third eye opens up from within. Then, lots of intuition comes. Your guardian kami angels will hear and help you. Who is Shinto Master Hideo Izumoto? Hideo Izumoto is a Shinto Master /Priest, Teacher, Healer, Acupunturist, Counselor and Inventor. Hideo Izumoto is responsible for bringing The 47 Words of God to America from Japan. As an acupuncturist, Hideo Izumoto has developed his own instruments and has taught his technique to other practitioners worldwide. Hideo Izumoto is founder God's Creation, Inc., also The World Friendship Association (in Japan in 1968), whose focus is to chant and pray in the Spiritual places throughout the world. Hideo Izumoto is on a mission for the world by traveling, teaching and giving healing to bring peace and harmony to the people of this planet. "What is most needed is healing of the people." This is Hideo Izumoto's goal and mission on entering the next century. Spiritual healing can bring about physical change, happiness and improved prosperity. 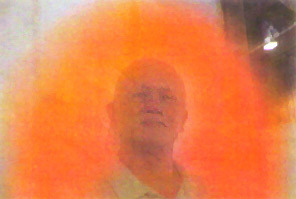 Sensei Izumoto actually sees the aura of your body and discovers where the light is weak. He then uses his hands and fingers or golden spiral coils to put energy back into the body and get the light to open up again. This heals physical dis-ease, pain, and ailments, and also heals the spirit very directly. Since March 1999, Hideo Izumoto has travelled around the planet teaching God's Way of Life. His focus is on Spiritual healing, chanting, and meditation, linking the world into one consciousness with vibrational harmony and peace. Hideo Izumoto focuses on the individual's spiritual healing. As each individual experiences spiritual healing, the family will change; and from the family the community will change; and from the community the planet becomes whole. of his name "HIDEO" as "Sun Rise"
"I graduated [from] Toyo Shinkyo Acupuncture school in 1976, and practiced in Japan. My parents were Buddhist, but until 1980 I had no special consciousness. I was spiritually blind, I didn't believe in spiritual things. I went to acupuncture school because I failed in business. I was in a terrible state. My brother was an acupuncturist. My family worried about me, and recommended that I also go to acupuncture school. I went at age 33, so I could have work. School did not teach me real healing technique, not spiritual healing." "I had Shinto teachers during 1980 to 1985. I started chanting in 1980, the chant given by one of my teachers, and I continued chanting by myself. With chanting, my head opened up, my intuition developed, there was an increase in energy. My eyes changed, my ears changes, my sensitivity changed. Later my guardian kami angels taught me the true way to chant, that is, I understood the deeper meaning of the chant. God created heaven and earth with this chanting." for Your Light. Thank you God for Your Teachings. Thank you God for your Guidance. Thank you God for Your Works. Thank you God for Your Healing. Thank you God for Your Blessings. Thank you God for being with us always. Please help each one of us (everyone now calls out his or her name) to open our heart, mind and soul to You, so we can practice Your way in our everyday life to make advancement in our physical and spiritual beings more perfectly, to live up to Your Will for all the people, animals, plants and minerals, for this planet Earth and universe, and for ourselves. Our attitude is most important! our mind, our body, our planet, and our Universe. within us that destroy our life. the Light of God within us, all healing happens. As we make oneness with all light beings of Universe in our mind, peace comes within and around us. in this Universe, in this heaven and earth, which is most important. We'll be true to ourselves within, be true to everyone and everything in the universe, be true in our prayer. We love everything on this planet earth. this planet Earth and our Universe. We will be forever true to ourselves within. We will be forever true to everyone and everything. We will be forever true in our prayer. by Dr. Jake Paul Fratkin. On Thanksgiving Day 2006 I received a telephone call from a very dear friend, requesting that I come to a meeting on the same day to hear a Shaman Priest by the name of Master Hideo. She went on to inform me that he had a very important message to share with our community. His message was filled with Help, Hope and Peace. He shared different techniques that he said would help us in our healing process. The most beneficial technique to me was the 47 Words of God Chant. His claim was that if we learn the chant we would move towards Peace and Advancement. So I learned the Chant, and much to my surprise, it worked. Through chanting I have recieived more Peace, and most of all, more advanced understanding of different ways to heal myself and others. ... 04/28/2013... Hideo Izumoto. Shinto priest ...I met this man last week and he helped me to become myself by removing negative energy from my Biometric Field. Here are the words to the ancient magical-like HEALING chant-song-prayer my friend shared with me several days ago. Given to her by Shinto priest Hideo Izumoto in a recent gathering. It is powerful! You SING the words slowly, deliberately. First time I sang it, I felt a very labored strained feeling in my chest, like a very heavy weight, a pulling, like lifting a thousand pounds. It was soooo HARD to just get through it. In two days that labored, almost painful feeling was gone. Checking with my friend, I found she had the same experience, except she also felt pains in her back, knee and other places. We did a 3-way conference and called priest Hideo about it. He congratulated us and confirmed what we figured out: that the pain was a sign that the singing was healing us, clearing away imbalances within. Since I started chant-singing 6 days ago, I now wake up feeling completely rested and alert. The chant-singing apparently diminishes / removes anxiety. I am confident that as I continue, my imbalances on all levels with be smoothed away. The words seem to HELP EVERYTHING. You can direct the energy to any part of your body, or any situation. I read on one of the sites that the words were brought to humanity as a gift, brought by angels.